Topic research: Come up with content topics based on the targeted keywords you discovered and what your audience wants to learn/know. 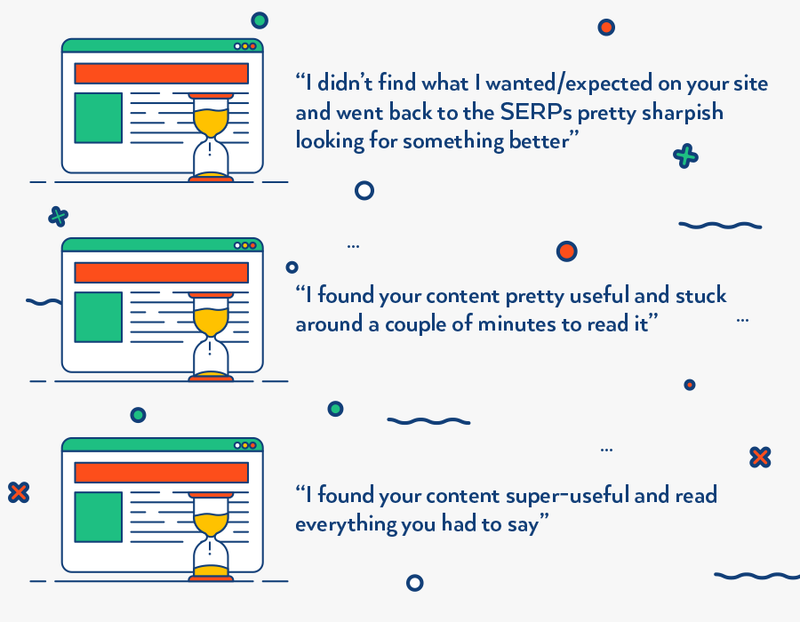 When your audience clicks your link, every single element on the page makes them want to stay and read it. And, when they stay and read, that makes your page look great to Google. That signal is called dwell time – or, the amount of time that passes between the point when you click on a search result and the point when you return to the results page. To be readable, your content needs to convey all types of information in an understandable way. And, when your content is understandable to more people, more people will stay longer, which will help your Google rankings. A big SEO trend for 2019 is creating content that goes deeper and farther into a topic. This works for higher rankings because, according to digital marketer Eric Enge, Google is “intensifying its focus” on content quality. Furthermore, according to Enge, this trend is going to continue. So, how should you go about creating deeper content? Write long-form blog posts – think 2,000 words or more. Explore topics that have many different facets and angles. Go further than surface-level research. Instead of a cursory Google search, try Google Scholar, JSTOR, or industry publications to find new data and studies. Help your pages and content fully load and display faster. The slower your page speed, the more frustrated you’ll make your users. Who wants to sit around waiting for a website to load? According to a BBC News report, half of shoppers won’t wait more than 3 seconds for a retail page to load. And research from the Nielsen Norman Group revealed that most users will leave pages within 10-20 seconds. According to research from Skyword, articles containing relevant images enjoy 94 percent more views than articles without images. That’s because we’re literally wired to notice images and respond to them. However, the impact of inserting well-designed, high-quality images in your content is much greater than throwing in a couple of random, overused stock photos. Your content will look more cohesive, professional, and authoritative with the right images, so it’s a good idea to invest in them for better SEO. That means those who do provide supporting facts, sources, and data in their content will easily differentiate themselves for the better. The key for trustworthy SEO content: Research! 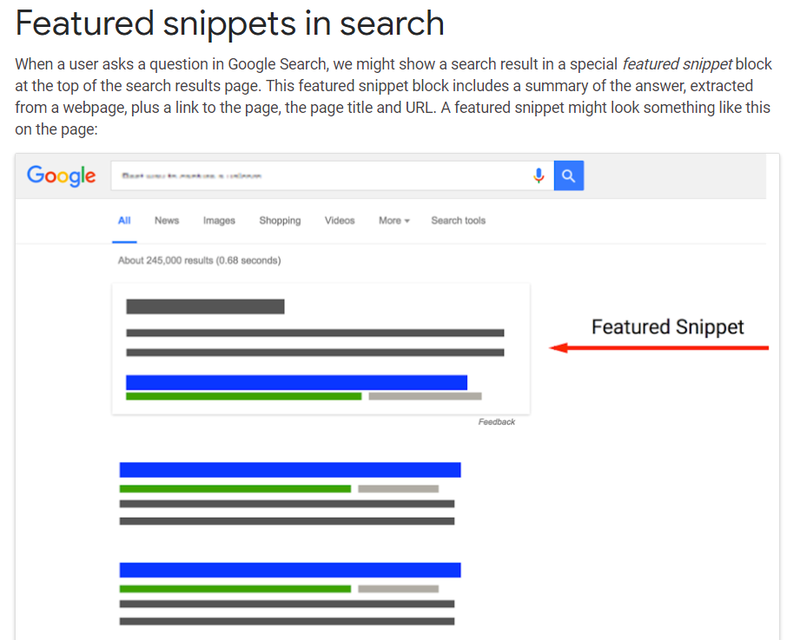 Featured snippets are getting tons of attention in the SERPs recently, and that will only continue into 2019. These little blocks of information may show up on a results page when a user asks a question, according to Google. As you can see, featured snippets get the first spot at the tip top of the page – a hugely desirable place to be! 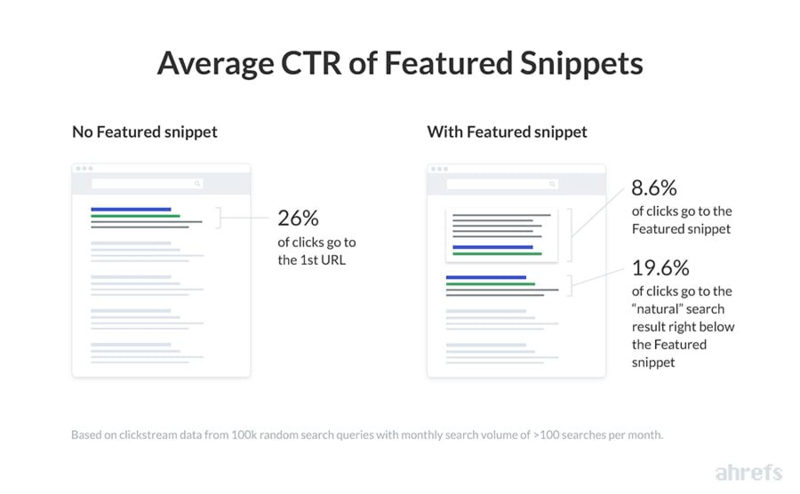 That’s because the featured snippets actually steal traffic away from the #1 spot, according to an Ahrefs study. Answer questions definitively in your content. Make your content the highest quality possible. Use numbered and bulleted lists. 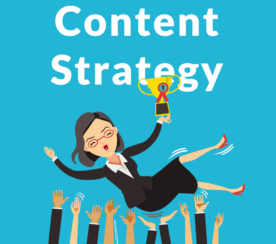 Structure your content logically. This guide from Moz shows how to do it. These days, Google is valuing authority/expert authorship in content more than ever before. 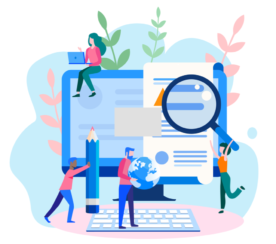 According to Google’s recently updated search quality evaluator guidelines, the creator of the content and that person’s history both contribute to a page’s quality. To this end, including an About page on your website, as well as author bio pages for your blog, are essential for reputation-building. Don’t forget to create bios for all of your guest-blogging opportunities, as well. Original research is a giant link magnet for SEO content. If you can include fresh statistics, studies, information, and research in your pieces, you’ll be throwing out tons of opportunities for other websites to link to you and cite your findings, not to mention incredible value for your industry and audience. 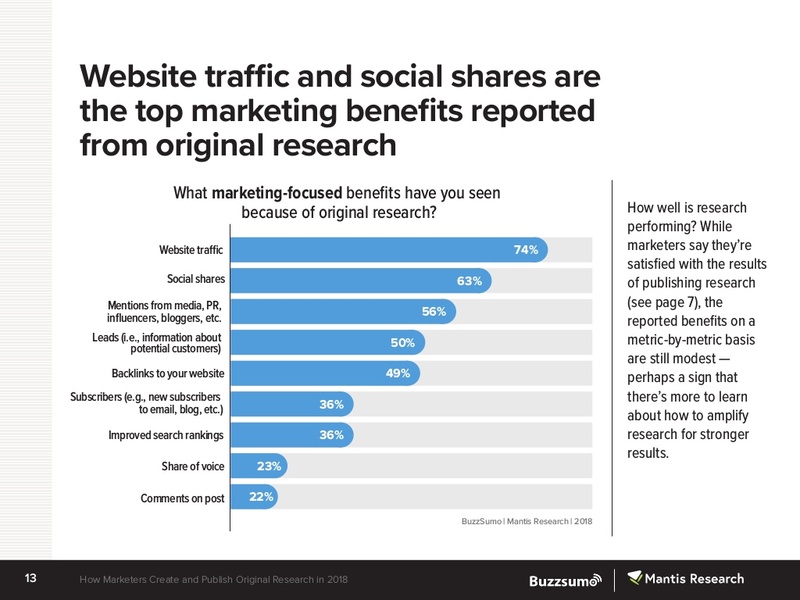 According to the 2018 State of Original Research for Marketing report by Mantis Research and BuzzSumo, 56 percent of marketers who use original research in their content say it exceeded or met expectations. 74 percent report that they have seen more website traffic because of original research. 63 percent said they see more social shares. Needless to say, research is an awesome way to boost your SEO content. Do a case study based on your brand success or failure – both are valuable teaching tools. Survey your industry and compile the results. Analyze your own data/metrics and post your findings. 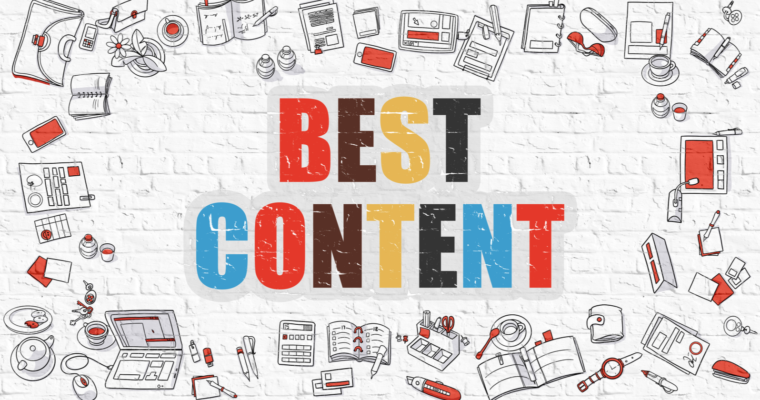 Ready to Rock SEO Content in 2019? Audience-focused SEO content will be hot stuff in 2019. When you hone in on what your audience needs and wants from your content, the benefits will be gigantic. 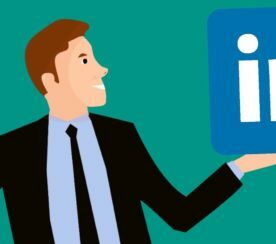 Use the tips in this article to get started!